This tenth-anniversary sequel to Professional Learning Communities at Work™ offers advanced insights on deep implementation, the commitment/consensus issue, and the human side of PLCs. This 10th-anniversary sequel to the authors’ best-selling book Professional Learning Communities at Work™: Best Practices for Enhancing Student Achievement merges research, practice, and passion. The most extensive, practical, and authoritative PLC resource to date, it goes further than ever before into best practices for deep implementation, explores the commitment/consensus issue, and celebrates successes of educators who are making the journey. Discover specific, practical recommendations for transforming schools into PLCs so that students learn at higher levels. Connect descriptions of the PLC framework with real-life examples from educators who have implemented the concept. Reinforce core beliefs of the PLC concept while tackling the misconceptions and common problems educators face during the transition to a PLC. Examine organizational development, change processes, leadership, and successful practices outside education for different perspectives. Understand the roles of the principal, central office, parents, and community in a PLC. 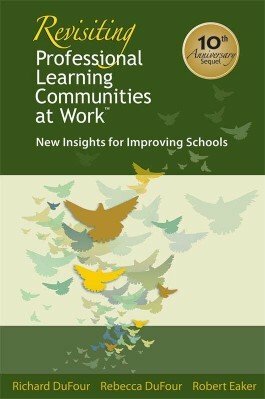 “Everything you want to know about professional learning communities can be found in [this book.] The authors, sometimes known as the 3Rs of professional learning, are among the nation's foremost authorities on applying PLC principles in the real world of schools. “The book not only reviews the concepts and practices of a PLC, it also explores in detail deeper learning by educators. The case studies and charts clarify the study of components of implementing a PLC. The book takes you into classrooms and districts to stress how this can make a difference in the improvement of student achievement. “The latest work merges research and practices in a way that offers educators practical recommendations for transforming schools. This is presented in a way that educators can see how students may learn at higher levels, and at the same time their profession becomes more rewarding, satisfying, and fulfilling.